Last Comic Stranded Final with headliner Maronzio Vance! 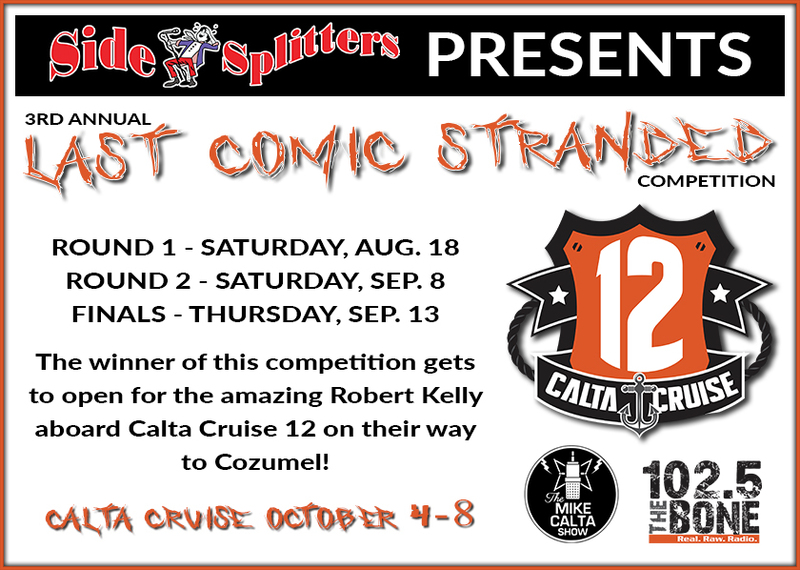 The winner of this competition will get to open for Bert Kreischer and Robert Kelly aboard Calta Cruise 12 on the way to Cozumel. The 6 finalists are JJ Curry, Victoria Yepes, Tara Zimmerman, Tom Wise, Vinnie Ward, and Elijah Hernandez. Spanish and Carmin from The Mike Calta Show on 102.5 will be hosting the show.